Dating can be especially difficult when the object of your affection has a different cultural or ethnic background. You must take extra care to avoid offending her in regards to customs or characteristics that you may find unusual. The challenge of impressing a beautiful Indian girl involves successfully capturing her attention without compromising her integrity or degrading yourself. Taking the time to prepare can make the difference between being desired and being ridiculed. Adopt gentlemanly manners to impress an Indian girl with your civility. Set yourself apart from the crowd. Beautiful women are pursued by a wide variety of men on a regular basis. Your actions will soon be forgotten if they're not original. While it helps to be good-looking, understand that good looks alone will not impress a beautiful Indian girl. The fact that she's beautiful already opens up her dating options, yet she's likely tired of hearing the same pickup lines and jokes. Being original can help distinguish you from the crowd of suitors. Respect her culture and traditions. While you may not fully understand everything about her background, it's important to show that you value her as a unique person. Respect her boundaries when giving her compliments by allowing her to remain modest. Beautiful Indian girls may feel harassed by excessive compliments and stares. Less is often more when it comes to making a positive impression on such a woman. Practice the art of chivalry. While chivalry and good manners are usually important when dealing with women, these characteristics become even more important when trying to impress an Indian girl. 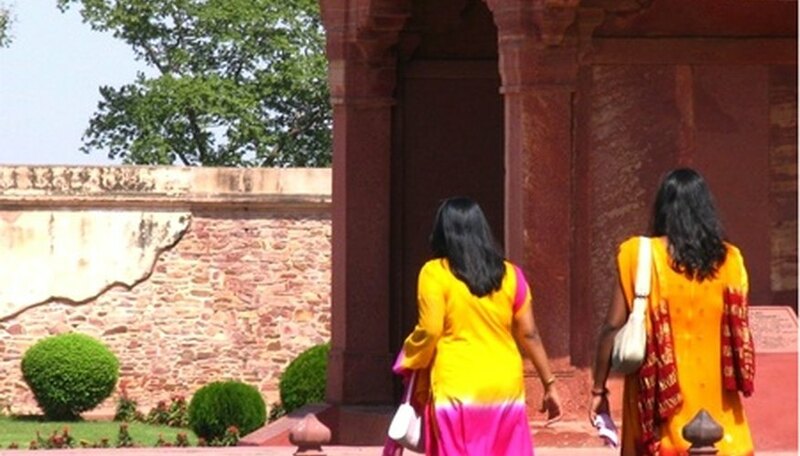 Traditional Indian culture places great value on the way women are treated. Simple gestures like opening doors or pulling out chairs can help you earn points. This type of behavior shows that you will take the time to make her feel special and respect her as her Indian peers would. Although women do like confident, outgoing men, taking the time to show off your more refined side may just elevate you to a higher level. Develop a positive relationship with her family. Family closeness is an important aspect of Indian society, and should be taken into consideration when trying to impress a beautiful Indian girl. Take time to get to know her entire family, paying special attention to your relationship with the men. Having a good relationship with her father or brothers may afford you privileges that other "outsiders" won't have. Male family members are often protective of their female counterparts, so staying on their good side is important. Demonstrate your intellectual ability. Indian society places great importance upon academic excellence and advancement. You will look better in her eyes if she can see you have what it takes to lead a successful life. While you don't need to be an Einstein in order to impress her, you do need to work hard in order to show that you could be a gracious provider. Discuss your career or educational goals with her, so she is aware of your plans and intentions. Learn something about her culture. Whether it's picking up a few commonly spoken phrases or taking a cooking class, make her aware of your genuine interest in her background. This will demonstrate your ability to try something new for the sake of pleasing her. Women of all cultural backgrounds enjoy being made to feel special. Dress your best in order to make a good impression. Although brand name clothing isn't a requirement, clean well maintained clothing is. It's hard to flatter anyone when you're wearing grease stained, moth eaten clothes. Taking the time to ensure that your appearance is up to par shows that you care about yourself and the way the world views you. Beautiful girls are impressed by men who take pride in their personal appearance and overall status. Contributor. "How to Impress a Beautiful Indian Girl." Dating Tips - Match.com, https://datingtips.match.com/impress-beautiful-indian-girl-4464628.html. Accessed 19 April 2019.